Castleton Alumna Karsen Woods praises the University for driving her accomplishments and confidence to success. 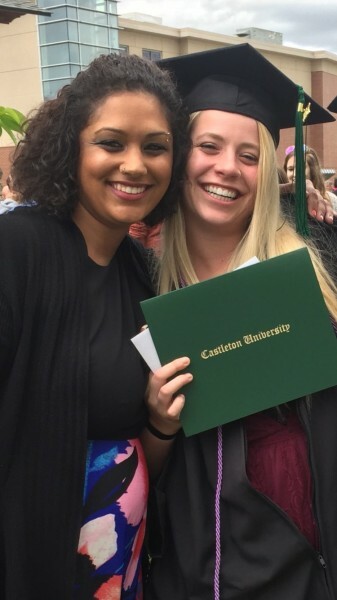 Castleton’s natural beauty helped Woods, who graduated from the University in 2017 with a degree in Media and Communication, feel at home. She especially liked visiting Lake Bomoseen on hot days, and skiing when the mountains just received a fresh frosting of powder. Behind Woods’ passion and energy to make a change in the world were her Communication professors. Her advisor, Sanjukta Ghosh, remains at the top of her list, still providing her words of encouragement and tools for future success. Woods learned change is possible, starting on campus. She was the President and founder of the Planned Parenthood Generation Action club. Her voice inspired many others to become involved. She encourages all Castleton students to stand up for what they believe in and never stop fighting for it. "Speak up. If something happens on campus, in the community, or in the world that you don’t think is right … say something,” she said.